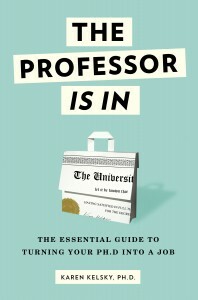 A reader wrote asking for a post on how to write a book while working at a teaching-intensive university. I put out a request for a guest post on the subject on Facebook, and Steve Engler responded with this account of writing a book while teaching a heavy schedule and taking care of three young children at home. (His bio is below). Thank you, Steve, for this inspiring guest post! Marking/grading student work consumes a lot of time. Be harshly realistic when planning courses: avoid the temptation to ask students to write that reading response or blog post every week; maybe four times over the term…? You’ll thank yourself later. Think very clearly about specific pedagogical outcomes. Often these can be met more effectively with less time-consuming assignments. Use coded rubrics as feedback devices. For example, my “paragraph response sheet” (available on my website) has over thirty numbered comments, allowing me to write numbers instead of certain often-repeated formal comments. The handout also helps students draft their work, as it describes my expectations. Preparing for classes can expand to fill all your available time. The same three points apply: be realistic about your time (allow yourself a measured period for prep, and call it good enough); stick to what supports your outcomes; and use modular elements (e.g., small group tasks that can be fitted flexibly into different contexts). We tend to think about the teaching-research interplay in terms of content. I have discovered the value of focusing on methods. I code interviews for my own research, and I assign my students the task of conducting, transcribing and coding interviews before writing a very brief essay. The methodological work in the classroom helps me keep my own skills quick and sharp. Plus students have a way of teaching us with their occasional brilliant insights. Write for people you know and get to know the people you write for. Networking produces invitations to write. The better you know the person to whom you “owe” a piece, the more motivated you are to get it done, and the less nerve-wracking you find the looming (or passed) deadlines. Even when responding to a Call for Papers or submitting an unsolicited article, it is good to communicate with the editor(s) – e.g., about formal issues – just to make a connection. This can seem daunting when you are getting started as an academic writer, but optimism is justified: editors are almost always open, approachable, helpful and interested in helping more junior colleagues. Though often just as labour intensive, co-authoring is especially good for keeping the ideas flowing and, above all, for keeping up your motivation and momentum. (Of course, co-authorship is standard in the natural, medical and some social sciences.) The essential prerequisite for a good co-writing relationship is getting along in more general terms. An excellent way to get an article going is to springboard from that hallway or faculty-centre conversation you had with a colleague in a different area or department and to write a cross-disciplinary piece. Try starting with a joint book review to test the waters. Assess appointment and tenure criteria. Our employers and senior colleagues do not necessarily rank types of publication (e.g., monograph vs. article) the same ways we learned at graduate school. Pay close attention to the specific criteria of appointment, tenure and promotion processes. (For adjuncts and those seeking employment, this involves some strategic research into policies at a range of desired or potential schools.) Focus on what counts more. E.g., why write a book when two peer-reviewed articles equal a monograph, as in my Faculty? Assess the value of service work in the same way. There are many more academic presses than you think, including a growing number of venues for open access (OA) monographs. (For a useful snapshot of academic presses, albeit with some debatable rankings, see this Dutch list <http://is.gd/FYPgbE>.) A growing number of on-line specialty journals are seeking good material. OA journals (like the PLoS journals, SAGE Open and the emerging Open Library of Humanities) have undermined the bottleneck of limited space for peer-reviewed articles. Check out the explosion of very solid and reputable journals, often OA and on-line, in various countries around the world. Many of these accept English-language submissions. Many smaller, especially international, journals accept unsolicited book reviews. Reconsider things you do already as modes of practice: work up graduate essays into articles; when reading a new book, turn your notes into a review; accept invitations to review journal submissions; etc. Editing is an excellent way to develop skills in recognizing the characteristics of good (and bad) writing and in developing a sharp sense of how arguments take shape. Working with students on the process – not just the products – of writing is a great way to hone your own skills. Steven Engler is Professor of Religious Studies at Mount Royal University, Calgary, an undergraduate teaching institution. He publishes and edits extensively. He wrote his first articles while teaching nine courses per year with no research requirement and – now on a new “teaching-scholarship-service work pattern” – teaches six courses per year. He continues to sit on too many committees. He is married with three children (6 years, 18 months, and 5 months). For more information, see http://stevenengler.ca. I really like the idea of coded rubric for grading, but I haven’t done a enough teaching at this point to have one of my own. Is that something you would be willing to share, or is there a way that something like that could be crowdsourced? Regarding point #6, “Seek alternative publication venues,” there are indeed reputable OA journals available. However, authors need to be careful to avoid predatory OA journals, which accept your fees and provide essentially no peer review. Jeffrey Beale’s “Scholarly Open Access” blog, http://scholarlyoa.com/, is a good reference on this subject.